We’re working on something not really new, something others already did by using the latest mobile technologies applied to the sector of cultural goods, but maybe the difference is that we aim our idea towards excellence and the commission got it and decided to choose us, although they told us the other projects were very interesting. 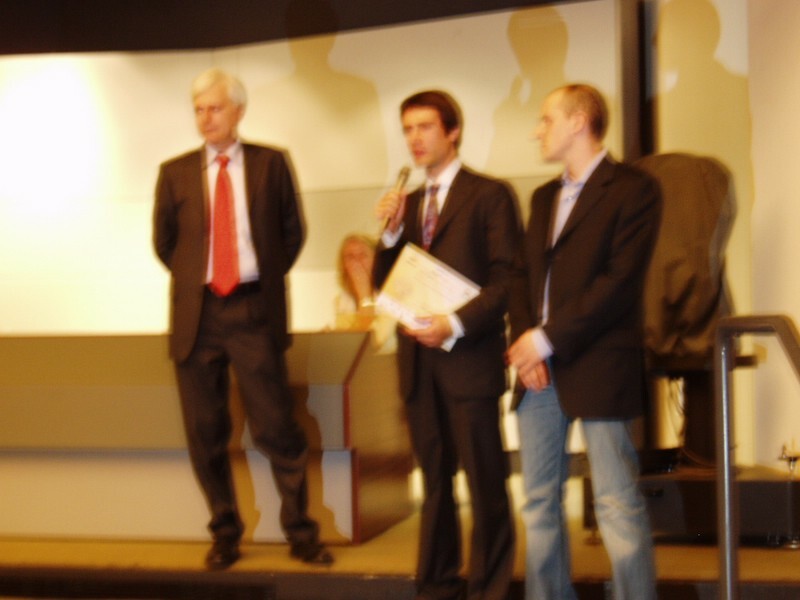 Yesterday in Milan professor Negrini gave us the award during the exciting ceremony of the StartCup finals. The first picture captured that moment with me and Luca on the stage. The emotion was great, the same emotion that passed through the hands of the photographer. 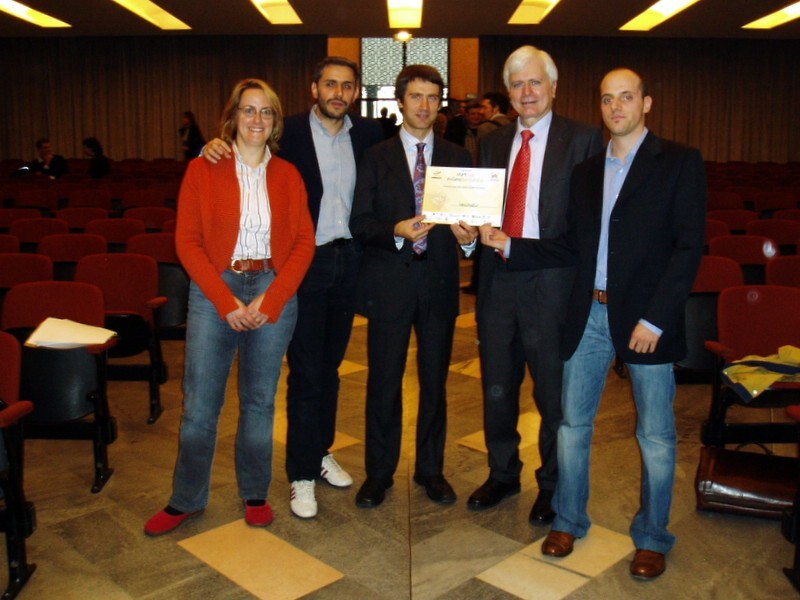 The second one depicts the team, almost complete since Guido was missing, with professor Negrini and Paolo and Samantha of Opla S.r.l., our main collaborators. 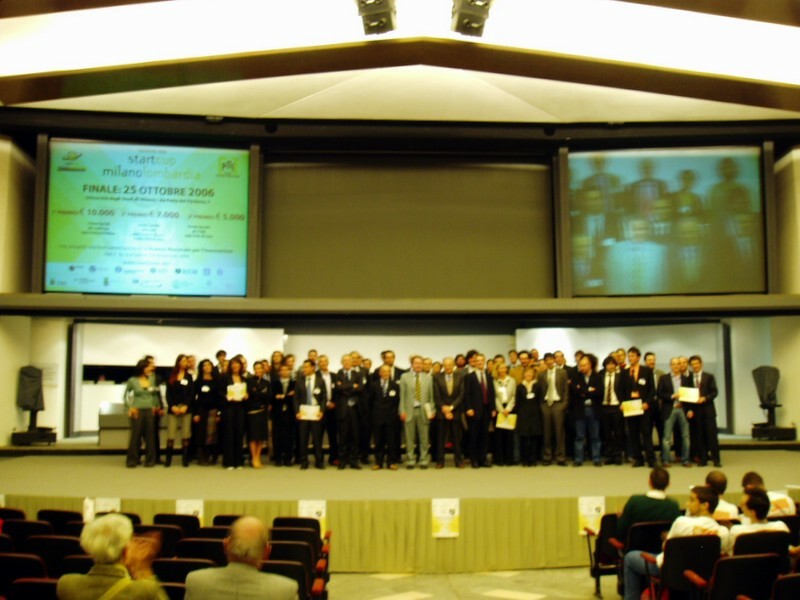 The third one shows all the winner groups on the stage of the main hall of the Università degli Studi. After the ceremony we had a nice walk around the Duomo of Milan thanks to an exceptionally good weather for the season and I took a pic of the Madunina on top of it. The cash award will help us to quickly get to the prototipation phase of the project, motivate a team that relied upon its own forces until now, and most importantly it opens the perspective to be incubated as a startup in the offices of the Polo Regionale of Como. This if what we actually were looking for, good job i-boys! Here the article about the incubation published by the local daily newspaper La Provincia. This entry was posted on October 26, 2006, 2:07 pm and is filed under i-muse, Mobile, Software. You can follow any responses to this entry through RSS 2.0. You can leave a response, or trackback from your own site. Davvero carina questa nuova veste grafica. Complimenti! WordPress è una piattaforma davvero potente.